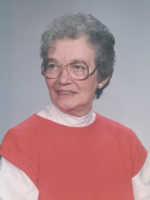 ALBANY – June Edick, 92, of Albany, passed away on Tuesday, April 10, 2018. June was born in Albany and lived in the area all her life. She was a graduate of Green Mountain College and was a longtime member of the Hamilton Union Presbyterian Church in Guilderland. She also drove for Meals on Wheels for many years. June was predeceased by her husband George F. Edick. She is survived by her son George F. Edick. Funeral services will be held in the Hans Funeral Home, 1088 Western Ave., Albany, Thursday morning at 11:00 a.m. Relatives and friends are invited, and may call at the funeral home Thursday morning prior to the service from 9-11 a.m. Interment will be in Albany Rural Cemetery, Menands. In lieu of flowers, memorial contributions may be made to the Mohawk Hudson Humane Society, 3 Oakland Ave, Menands, NY 12204. To leave a message of condolence for the family or obtain directions to the funeral home, please visit www.HansFuneralHome.com. Click here to view June’s resting place in Albany Rural Cemetery, Menands, New York 12204. Hello George. I was so sorry to hear about the loss of your mom. I will be thinking of you tomorrow and often in the days to come. Take Good Care . I hope to be able to sing with you soon. It makes the hard times easier. Your mother was an amazing woman. My mother, Ruth Runyan, and your mother were very good friends. They delivered Meals on Wheels together for many years. They also were Elders at Hamilton Union Presbyterian Church. They would have supper together and then go to the Session meetings. Your mother was so proud of you. She looked forward to your Christmas concerts and told her friends when they could hear you sing.